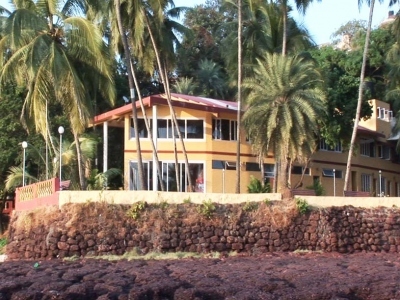 Hawaii Beach Resort is an exclusive waterfront resort with a homely ambience, lush green lawns and a scenic view of the River Zuari and the Arabian Sea. A picture perfect boutique resort for intimate weddings. Within the hustle and bustle of Calangute lies a delightful family run resort that is perfect for small and intimate beach side weddings. Overlooking the pristine blue sea and located on the shore of Caranzalem, Swimsea Beach is a budget resort with mesmerizing sea views and spacious balconies. The resort also has an outdoor event venue with a swimming pool. Secretly sandwiched between two 5 Star Resorts in Sinquerim lies one of North Goa's best beach side restaurants which also has 6 well appointed rooms and is a perfect venue for small and intimate beach weddings in North Goa. Set amidst 14 aces of beautiful gardens and overlooking the Arabian sea lies a comfortable and affordable resort. The International Centre also offers a number of indoor and outdoor wedding venues. Located at the very heart of south Goa's most famous beach, the Palolem Beach Resort is one of the most well established and popular places to stay in Palolem.